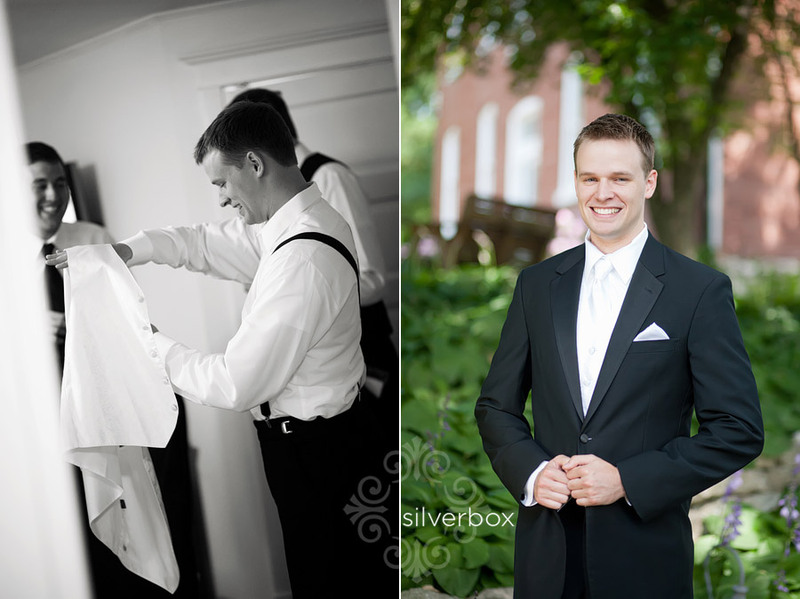 jacob + lauren :: married on the bluff top! 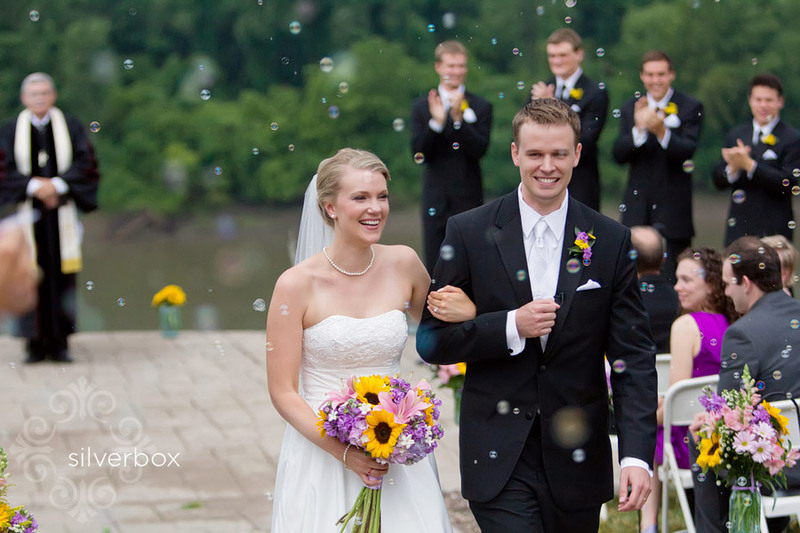 Jacob + Lauren returned from michigan to lauren's hometown of rocheport, mo to say "i do" high on the bluff top. Doesn't Lauren look fabulous in yellow? AND white?! CLICK HERE TO VIEW A SLIDESHOW!! And what better place to get ready than the lovely School House Bed & Breakfast in Rocheport? 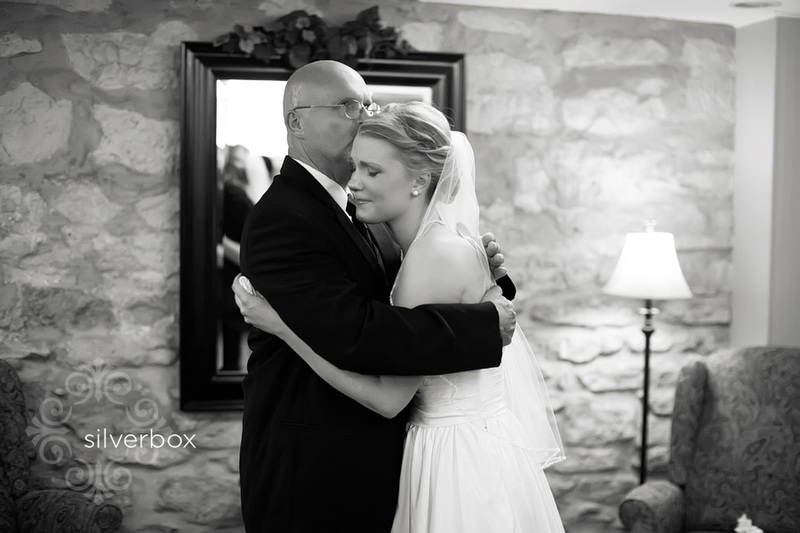 Love this of Lauren and her dad. Such a sweet moment. Just 2 hours before ceremony time, storm clouds covered the sky and we all feared the worst for the bluff top ceremony. As fate and a bit of patience would have it, Jacob and Lauren had their outdoor ceremony and amazing blue skies to boot. Can you believe this sunset?!?!?! This must go on your wall! Thanks so much for allowing us to document your day! SLIDESHOW ANYONE?